Looking to Get Protection From Bed Bugs? What are the costs and where can I buy physical protection? At least 70% of bed bugs present in an infestation colonise the mattress and infrastructure of the box springs. If there is an infestation, our encasements will eliminate the opportunity for bed bugs to find a home. Call Bruce Gow on his mobile 0417 251 911 or for useful information on all pest & specific help with your own bed bug problem. Mattress Safe® has recently achieved an accreditation as a Pest Control Management Product in the United States. 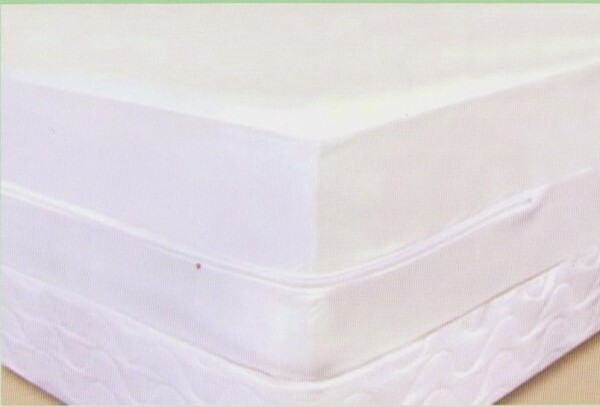 Several “Bite Tests” and “Penetration & Escape Tests” were also performed with success on the Mattress Safe®’s “Ultimate” brand encasement with a zipper. This later was tested by the best certified entomologists to determine whether or not bed-bugs may feed on people via penetrating the fabric. This proves that Mattress Safe®’s has an ability for the prevention of infestations of all species of bed bug in these mattresses and box springs. Total bed base encasements with patent pending zip locking system. They are totally successful when there is a need to prevent allergens, bed bugs, dust mites, bed-bugs, bacteria & other allergens from breeding inside your bedbase. In case you didn’t know, allergens, bed bugs, dust mites, bed-bugs, bacteria are listed as the major factors and the causes of asthma & eczema. Persons with no pest control experience oher than buying bug spray from the supermarket are using poisonous products to ttry and do it themselves, sometimes with disastrous results. Wouldn’t it be easier and a lot safer just buying bed bug mattress encasements, castors or screw-in-barriers? Is YOUR home or business protected from Bed Bugs? Remember A1 for your home’s complete bed bug control and pest management systems. Simply call Mobile 0417 251 911 or for a free quote.